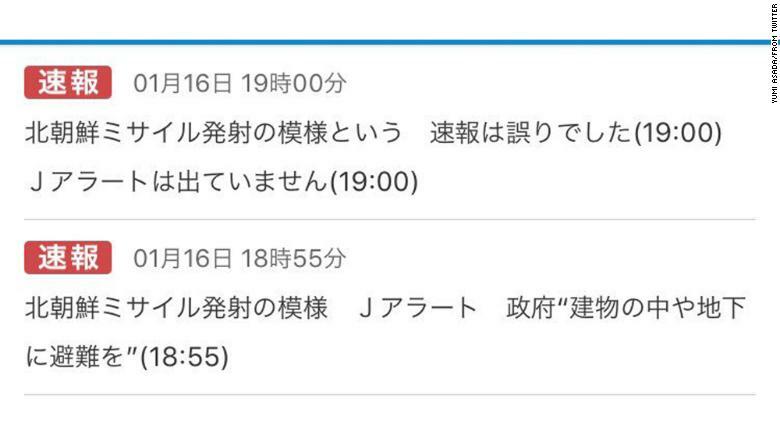 Tokyo (CNN) Japanese national broadcaster NHK issued an on-air apology Tuesday after issuing an alert incorrectly claiming that North Korea had launched a ballistic missile. The broadcaster apologized for the error, adding "the news alert sent earlier about NK missile was a mistake. No government J alert was issued." The mistake was corrected within minutes. The subject of sanctions on North Korea is expected to be on the agenda, as well as the country's participation in next month's Winter Olympics in South Korea. South Korea and Japan will participate in Tuesday's talks, though North Korea's largest trading partner, China, will not be present. Tuesday's false missile alert was the second in a matter of days. 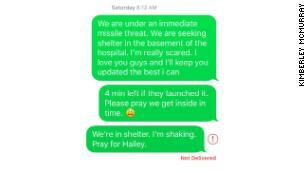 On Saturday, an emergency alert notification sent out to residents of Hawaii warning of an incoming "ballistic missile threat" turned out to be a false alarm. The error was blamed on an employee who "pushed the wrong button." The warning went out on television and radio as well as cell phones, according to Hawaii Gov. David Ige, sparking panic amongst some residents.